Last month, I had morning tea at Gidget House where I was inspired by some amazing people, learned about the important work of the Gidget Foundation and inhaled some truly delicious treats. 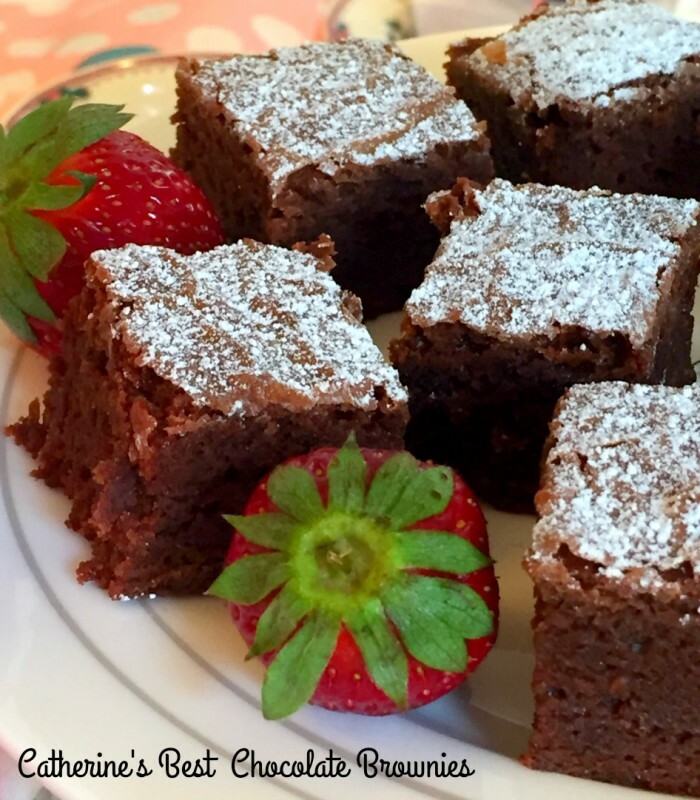 I enjoyed a lot of sweet eats that day, but these brownies were my far and away favourite. When I found out that Catherine, the CEO, had made them for us, I begged asked her for the recipe, because these brownies are just too delicious not to share. Catherine swears by this recipe and it’s easy to taste why. It was with great pleasure that I converted the recipe to the Thermomix, but whichever way you make them, they’re truly delicious. If you’re keen to support the wonderful work of the Gidget Foundation and like making and eating tasty treats, you can host your own Bun in the Oven event any time from now through to the end of December – let’s put the yum into fundraising! Preheat oven to 180C/160C fan-forced.. Grease and line a 2ocm square tin. Melt chocolate and butter. Remove from heat and cool slightly. In a separate bowl whisk eggs, sugar and vanilla together. Stir in chocolate mixture. Stir in sifted flour. Pour into prepared tin and bake for 30 minutes. Serve dusted with icing sugar and strawberries. 1. Preheat oven to 180C/160C fan-forced.. Grease and line a 2ocm square tin. 2. If using raw sugar, mill for 5 seconds on speed 9. Set aside. 3. Break chocolate into pieces and add to the TM bowl. Chop on Turbo 2 or 3 times. Add the butter and melt for 1 minute 30 seconds at 60C on speed 3. Scrape down base and sides. Repeat. Allow to cool slightly. 4. Add the sugar and mix for 5 seconds on speed 5. 5. Add the eggs and vanilla and mix for 5 seconds on speed 5. 6. Add the flour and mix for 5 seconds on reverse speed 5. Repeat and check flour is mixed through. 8. Allow to cool in tin. 9. Serve dusted with icing sugar and strawberries.